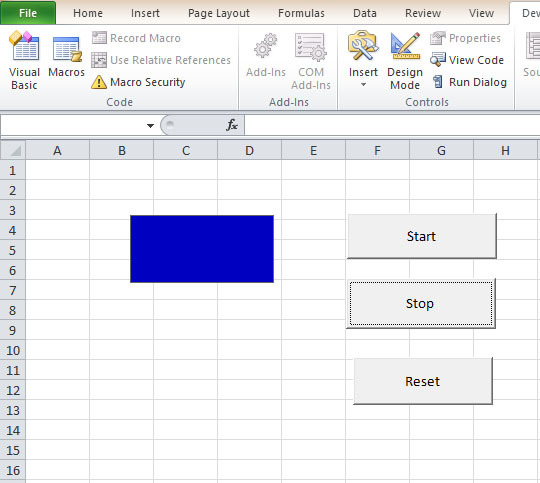 Besides creating Excel 2010 VBA code for mathematical and financial calculations, it is also possible to create some fun applications in Excel 2010 VBA, including games and animation. Although professionals programmers might not be interested in writing such applications, it is worthwhile trying them out as a hobby and for personal satisfaction. Animation can be achieved by changing the position of an object continuously using a looping sub procedure.